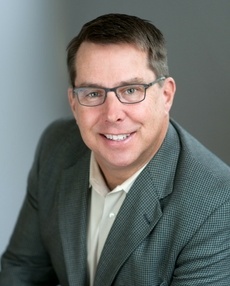 Ray Makela is an author, speaker, and business executive with 25 years of management, consulting, and sales experience. At Sales Readiness Group (SRG), Ray oversees all client engagements and the delivery of sales and sales management training programs. He has delivered programs for clients such as Alcon/Novartis, AIG, Sysco, Nielsen, Timken, Follett, Pandora, Ritchie Bros, HERE, Infor, Galderma and Walmart. Before SRG, Ray was a partner and owner at Codesic Consulting. He was responsible for business development, managing customer relationships, and the development of the sales team. Ray has also held management positions at Accenture and Claremont Technology Group as a consultant in the Organizational Development practice. Earlier in his career, Ray served for seven years as an officer in the US Navy. He earned his B.A in Speech Communications from the University of Washington and an M.P.A. in Public Administration and Information Systems Management from the University of Southern California.